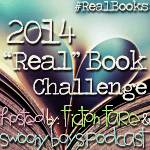 You are here: Home / Challenge / Announcing the “Real” Book Challenge! 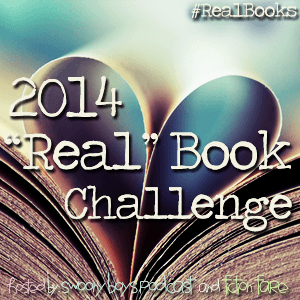 Welcome to 2014 “Real” Book Challenge! Have you gotten used to reading on your Kindle, iPad, Nook, or other reading device? Do you have tons of pretty books filling your bookshelves that are just begging to be read (and maybe sniffed a little too)? Do you have a favorite book or series that you’ve been looking for a reason to reread? All these scenarios, and so many more, are the perfect reason to join the “Real” Book Challenge! Join us in a quest to put down the electronic devices and pick up a physical copy of your favorite book(s). Feel free to list your books in your first post or wait until the end of the year and write them in a wrap-up post. Even if you list them, you can always make changes later. Sign-ups will be open until Dec 1, 2014, so feel free to join at any time throughout the year. 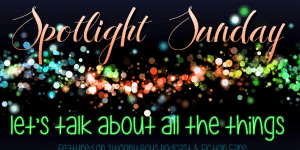 On the 1st of each month we will post a wrap-up post, on Swoony Boys Podcast and Fiction Fare. Every wrap-up will have a giveaway and place for you to link up your wrap-up posts for the month. Each book that you read in the month will get you one entry in our giveaway for the month. Prizes will vary, and winners will be announced the following month in our newsletter. If you miss a wrap-up post + giveaway, you can link up your books the next month. Don’t try to count a book twice, we’ll be watching! December will be a wrap-up for the whole year. All the books you read January-November + the ones you’ll link up in December will be entered into a GRAND PRIZE giveaway. Link up in the linky below using the link to your post/tweet. Join the mailing list for updates! CLICK HERE TO JOIN NOW! That’s it! You’re in! Welcome to the challenge, stay tuned for lots of fun! We’re so excited you’re joining us! Good luck! Join our mailing list to get your monthly copy of our newsletter! The newsletter will have everything you need to know about the challenge each month, plus tons of fun stuff like mini challenges! It will be delivered on the 15th of each month. 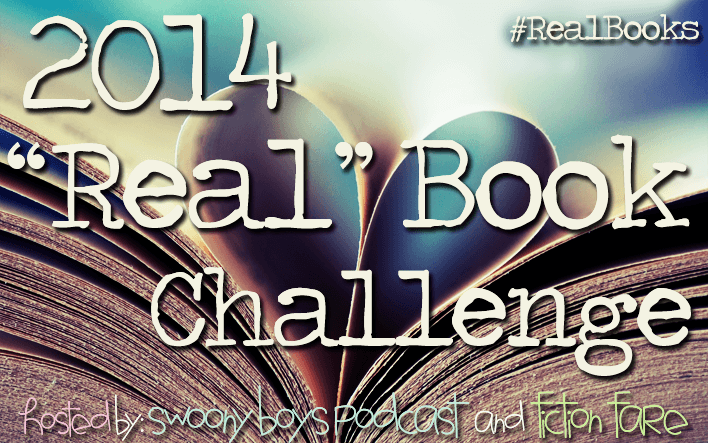 You can sign up here: JOIN THE 2014 “REAL” BOOK CHALLENGE MAILING LIST!! We’ve also created a Goodreads Group for all challenge participants. Feel free to join and talk about all things books with us there. CLICK HERE TO JOIN! Swoony Boys and Fic Fare currently host a monthly twitter read-a-long. Participating in these would be a great way for you to get an extra book in each month. We’ll post the title and dates for the next month in the newsletters. If you’re an Author or Publisher who would like to sponsor our challenge by donating a book, swag, or doing a fun interview for the newsletter- email us at realbookchallenge@gmail.com. There’s no such thing as a bad question! If something doesn’t make sense, we want to hear from you! You can leave your question in the comments below, tweet @SwoonyBoys, @JaimeArkin, or @Erinlee20, or email us at realbookchallenge@gmail.com and we’ll get back to you as soon as we can! I’m thrilled beyond wonder to find this and am participating immediately. Real books are ALL I read! If you join me for my challenges, one activity (likely the “Gentle Spectrums” group) will be to show a photograph of where you keep your tangible, touchable, treasures! You’re all welcome to any of my brand new trio, launching February 1st. (Mystery and “Ethereal” are the other two). Just a note that I hope you don’t profusely object that creating a monthy post doesn’t work for me. However I’ll link the same page monthly (you bet I’ll make sure I qualify for prizes)! It will be updated and I’ll write month headings, to neatly show the books that have been read. Your fellow supporter and respecter of books, Carolyn! Carolyn @ RIEDEL FASCINATION recently posted: Real Book Challenge! I’m thrilled to find this and participating immediately. Real books are ALL I read! If you like my own challenges, one activity (likely “Gentle Spectrums”) will be to show a photograph of where you keep your tangible, touchable, treasures! You’re all welcome to any of my brand new trio, launching February 1st. (Mystery and “Ethereal” are my other two). I hope you don’t profusely object. Creating a monthy post doesn’t work for me. I’ll link the same page monthly (you bet I’ll make sure I qualify for prizes)! It will be updated with month headings, to neatly show when books have been read. Your fellow supporter and respecter of books, Carolyn! Hi, I’d love to join 🙂 I’ve scheduled my post for next Monday, I hope that’s okay. So excited for this challenge! I’m hoping to read at least 22 real books this year. I haven’t made a post about the challenge yet but I will soon! I LOVE this challenge idea. I am hoping to read 25 real books this year. My post about the challenge is actually on one of my pages and the link is: http://whenyougiveanelephantapaintbrush.wordpress.com/book-challenge/.